Preheat oven to 350 degrees. Spray a 13×9-inch casserole dish with nonstick cooking spray and set aside. 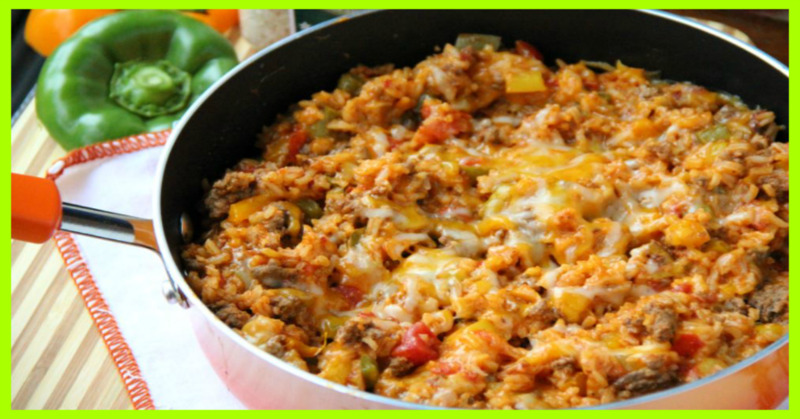 In a large skillet over medium-high heat, cook the ground beef, bell peppers, onion, and garlic until the vegetables soften and the beef is no longer pink, 10 to 12 minutes. Use a wooden spoon to break up the beef as it cooks. Drain any excess fat and return the skillet to the stovetop, turning the heat down to low. Microwave the rice according to package directions. Add the cooked rice, pasta sauce, basil, oregano, salt and pepper to the beef in the skillet and mix well. Transfer the skillet ingredients to the prepared baking dish. Sprinkle the Italian cheese on top of the casserole. Bake uncovered until the cheese is melted, 18-20 minutes.